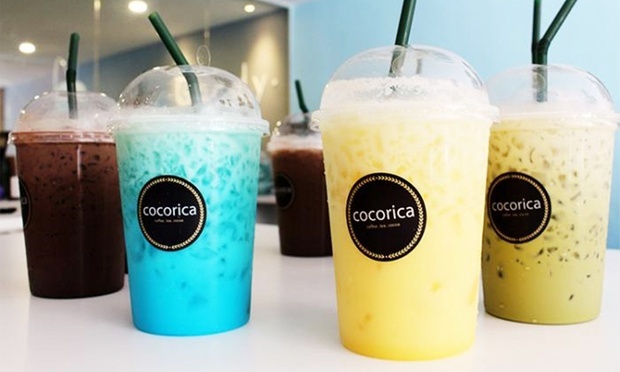 Sharing a space with Restaurant Chick-In, Cocorica Bandar Sunway offers parched throats relief with an array of beverages ranging from coffee and tea-based drinks to fruity ice blended beverages. Visiting patrons and students from the nearby Sunway University trickle into the cafe’s timbered interiors for frosty sips of ice blended signature Cocorica, cappucino, dark chocolate, fruit yoghurt smoothies, honey black tea, and other drinks. Traditional Italian flavours conjured by a chef with more than 10 years of experience are served in a rustic fashion atop wooden boards and white platters, in a classy environment featuring oaken furnishings and neutral earth tones. 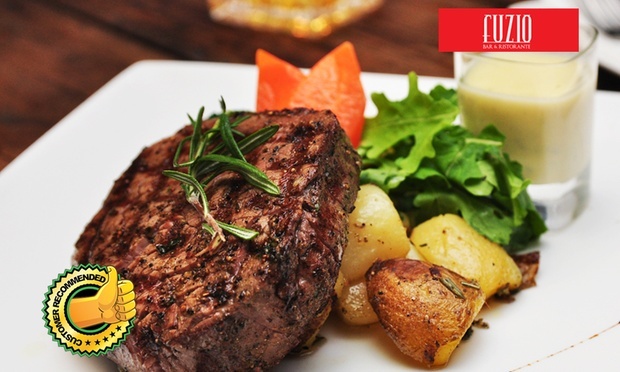 Pastas and pizzas feature heavily on its menu, along with main courses of grilled lamb rack, baked cod fish, and beef tenderloin. The restaurant also serves a noteworthy dish of grilled rabbit and rabbit ragout. Cocktails, mocktails, and liquor are available to inject a dose of merriness to dinners, while a wine cellar boasting French labels pairs well with meat dishes and exotic blind dates. Fuzio Bar & Restaurant does not serve pork, but offers alcohol on their menu. Tucked away in a hidden little nook just a 10-minute walk from Sunway University, Zeus Thirteen offers stir-crazy students and patrons alike an escape into the world of caffeine and confectionery. 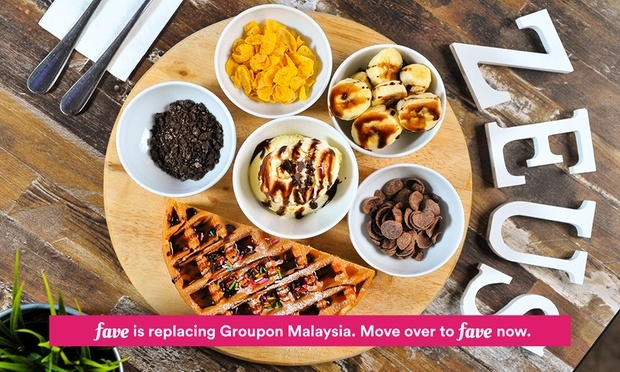 Choose from waffles, hazelnut lattes, breakfast spreads, and even breakfast waffles, to tempt the sweet and savoury all at once. 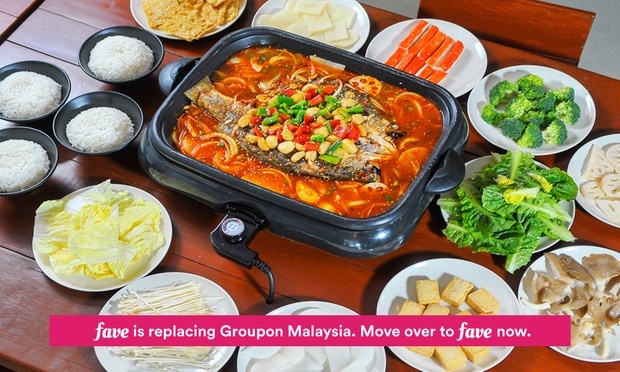 Chow down on a spread of seafood dishes made in the citrus-spicy Szechuan style of Tan Yu Fish Shop. 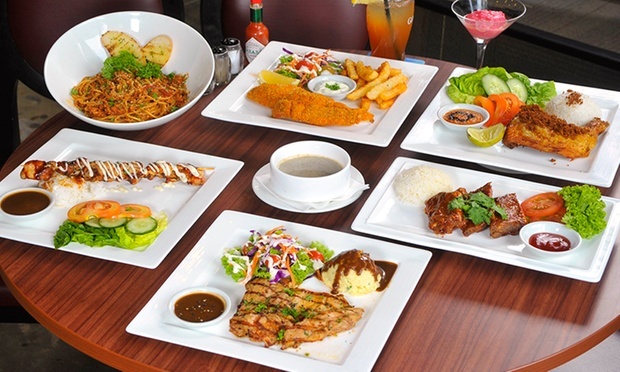 Choose from fresh fish and seafood like prawns and clams, and a variety of cooking styles to sup with friends at this Bandar Sunway eatery. Buffets, much like sports and trying to get into a pair of ultra-skinny jeans, are a testament to the human will to attempt the near impossible. 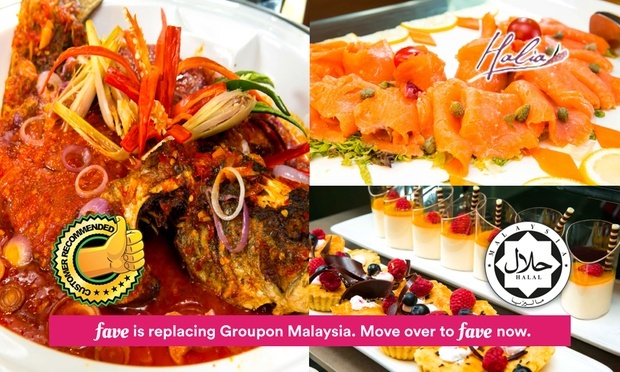 Break human barriers with today’s Groupon: for RM47, you get an international dinner buffet (RM119 value) at Halia in Sime Darby Convention Centre, Bukit Kiara. 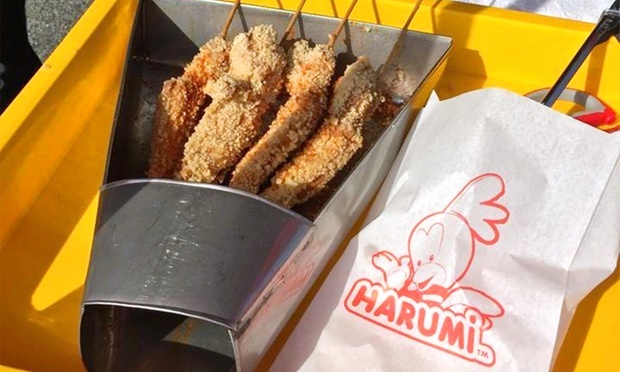 Local cravings and international curiosities come together within the purpose-built venue, housing exclusive ballrooms and auditoriums catering to quiet meals, relaxing dinner dates, or family feasts. Nestled beside the TPCKL, diners nibble on servings of Western, Italian, Asian, and local fare while gazing out over the lush greenways and undulating hills. 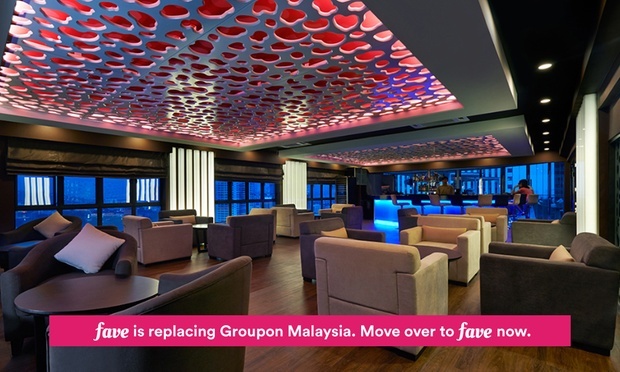 The reserved convention centre hosting exclusive events of banquets and weddings may still be easily reached via the SPRINT highway, Bukit Kiara roads, Jalan Beringin, or Jalan Setia Murni with landmarks of Eastin Hotel and Juara Indoor Stadium.